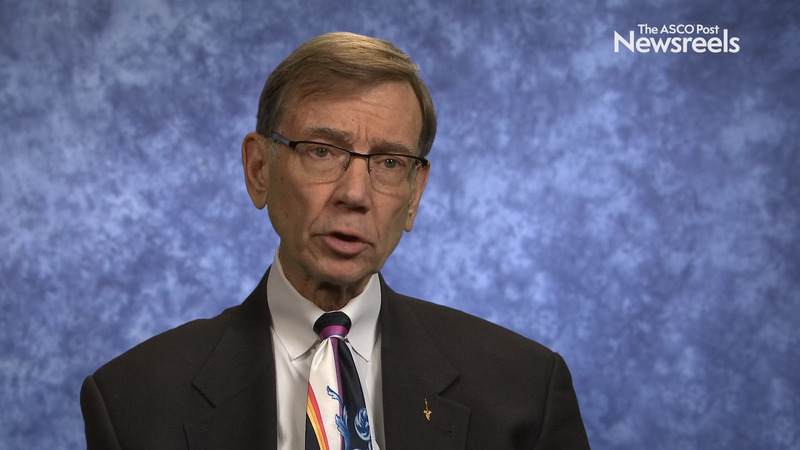 Nicholas Vogelzang, MD, of the Comprehensive Cancer Centers of Nevada, discusses phase Ib/II findings on pembrolizumab and lenvatinib given to 20 patients with metastatic transitional cell carcinoma of the bladder who had received no prior checkpoint inhibitor therapy (Abstract 11). 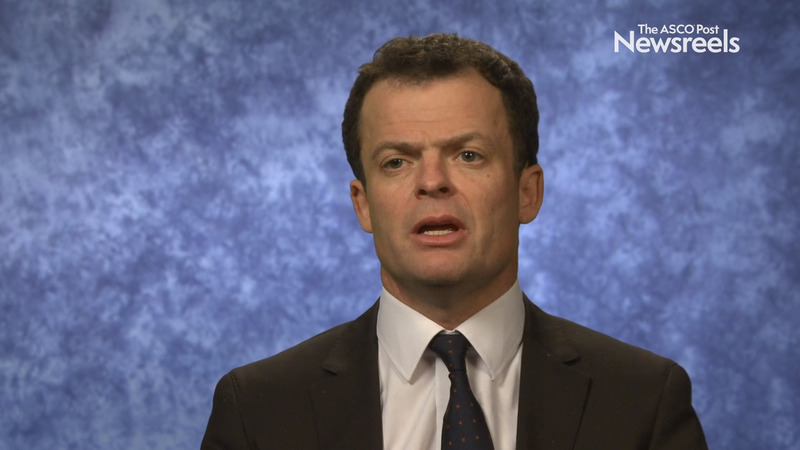 Thomas Powles, MD, PhD, of Queen Mary University of London, discusses phase III study findings on ramucirumab plus docetaxel vs placebo plus docetaxel in patients with advanced platinum-refractory urothelial carcinoma (Abstract 353). 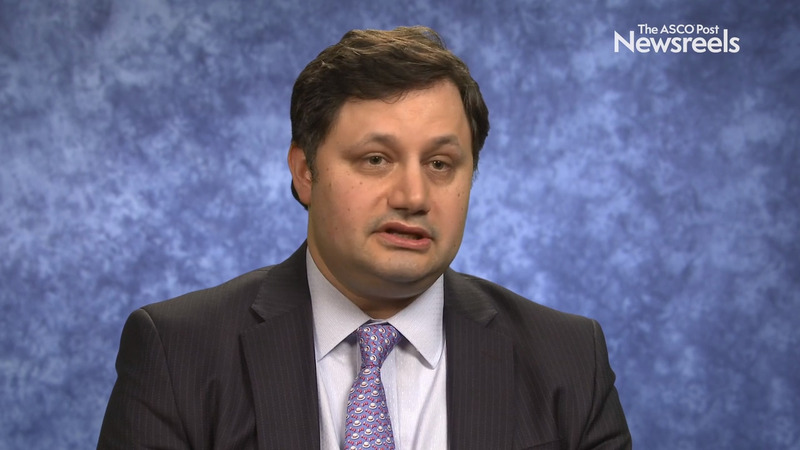 Jason A. Efstathiou, MD, DPhil, of Massachusetts General Hospital, discusses the debate over treating muscle-invasive bladder cancer with radical cystectomy vs trimodality therapy. 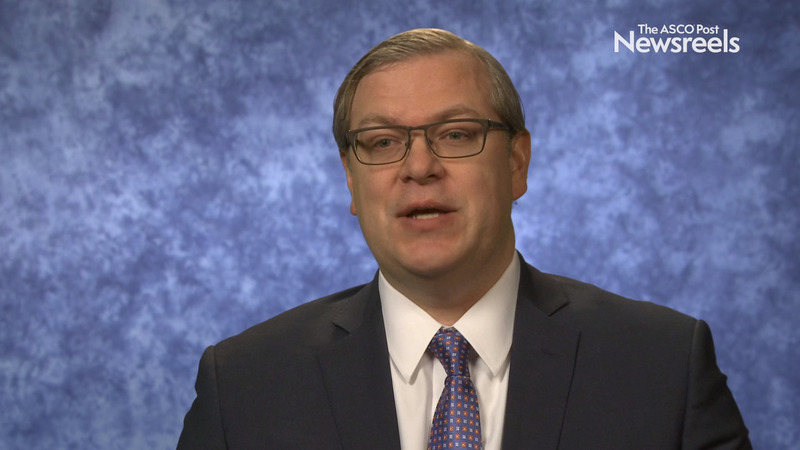 Brian C. Baumann, MD, of Washington University School of Medicine, discusses phase III study findings on adjuvant sequential chemotherapy plus radiotherapy vs adjuvant radiotherapy alone for locally advanced bladder cancer after radical cystectomy (Abstract 351). Cora N. Sternberg, MD, of San Camillo-Forlanini Hospital and the Israel Englander Institute of Precision Medicine at Weill Cornell, discusses results from the phase III CheckMate-025 study on nivolumab vs everolimus for mRCC; the CheckMate-214 study on nivolumab, ipilimumab, and sunitinib for treatment-naive advanced or metastatic clear-cell RCC; and immunotherapy for urothelial cancer for both first- line cisplatin-ineligible and second-line therapy after cisplatin chemotherapy. Ronald de Wit, MD, PhD, of the University Medical Center Rotterdam, discusses phase II findings on the efficacy of pembrolizumab in Bacillus Calmette Geurin–unresponsive bladder cancer with high risk for disease progression. Gregory R. Pond, PhD, of McMaster University, discusses a new six-factor prognostic model for patients with advanced urothelial carcinoma receiving post platinum atezolizumab (Abstract 413). Jonathan E. Rosenberg, MD, of Memorial Sloan Kettering Cancer Center, discusses longer-term efficacy and safety findings on nivolumab monotherapy in metastatic urothelial carcinoma (Abstract 414).